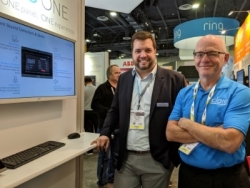 New Clare One UL-listed security and home automation system will integrate with third-party home controllers, incorporate SnapAV services including OvrC. Game changer…! I’ve been telling both Control4 and Alarm.com reps they need to offer integration for a while now. Clare controls & Brett Price just beat everyone to the punch.